Posted June 10, 2016 by Jen & filed under Food. Raise a glass to gardens! There is nothing quite like a peaceful summer evening with a refreshing beverage in hand. So let’s get full of spirit this season with these great garden-fresh cocktail additions. It’s pretty much a no-brainer. I mean, mojito is in the name! But mint is so versatile that there are probably thousands of cocktails you can make with it. 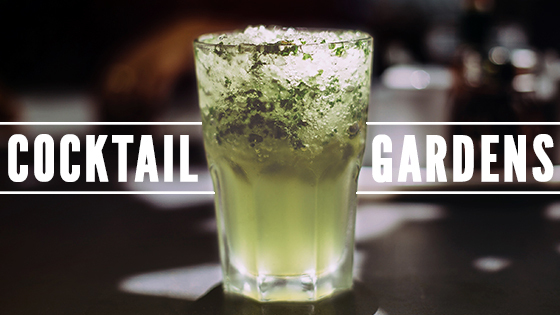 Mint julep, Jamaican Apple Mule, Whiskey Smash, the list goes on. 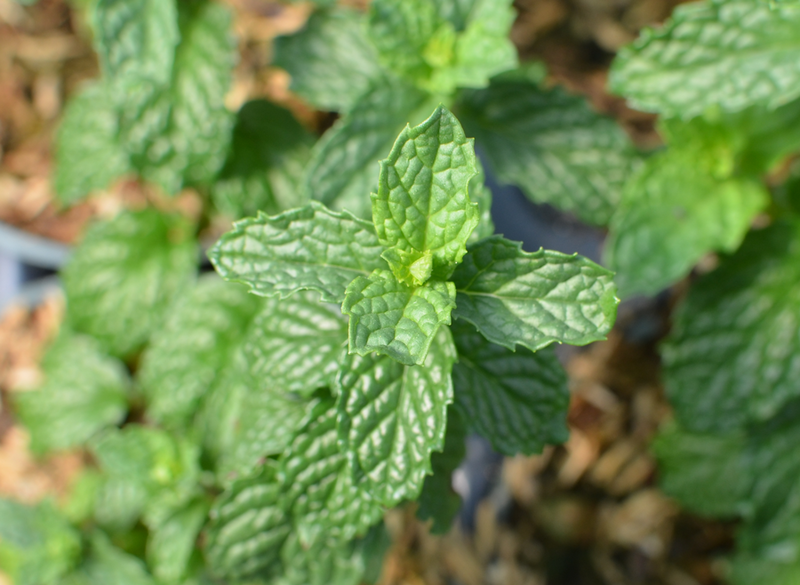 Mojito mint is very vigorous and super easy to grow. You just have to be careful because it can be invasive. Make sure to keep it in a container by itself or it will overtake everything. And I mean everything! 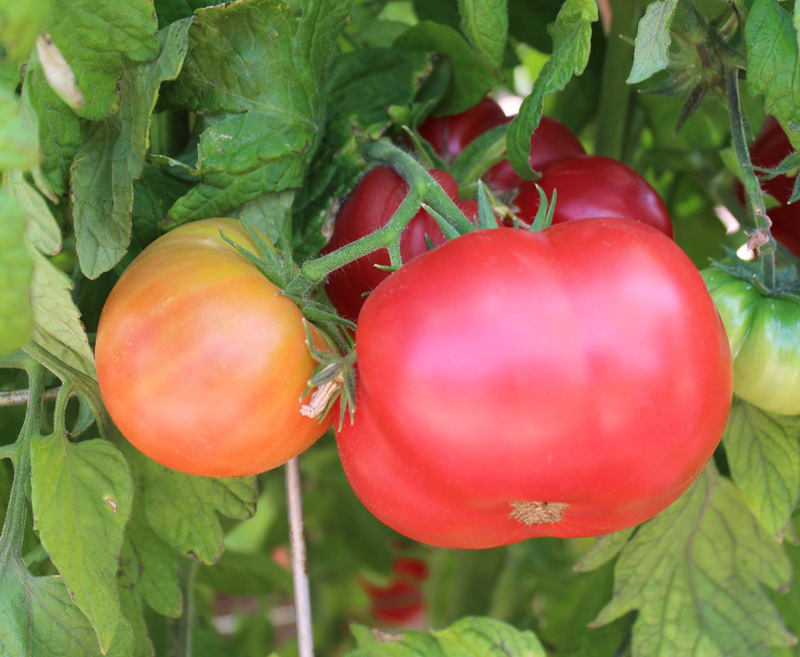 Tomatoes are a garden staple for most. And, with the high production of some of these plants, it means that you get buckets full of fruit all season. Buckets full of fruit means buckets full of Bloody Marys and Caesars! 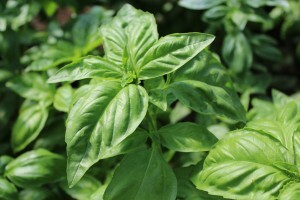 Basil is a favourite for chefs and mixologists alike. Each variety offers its own distinct taste that can be used in a variety of drinks. Use it for an added layer of flavour and to balance sweeter drinks, such as this pineapple basil cocktail or this strawberry-rhubarb bellini. As long as your plant gets a lot of sun and warmth, you will have basil coming out of your ears! It is a great herb for new gardeners because it is a breeze to grow. What is summer without fresh strawberries? The number of ways to use these sweet treasures in summer drinks is seemingly endless. Really, the only limit is your imagination. Strawberry daiquiris, margaritas, champagne, strawberry & lime cocktail. 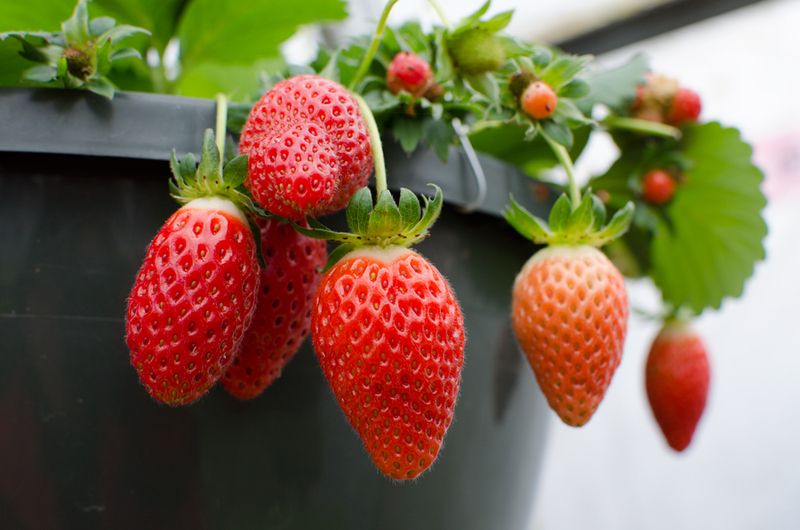 Luckily, strawberries are another easy thing to grow. They can be grown nearly everywhere – containers, hanging baskets, borders. A bit of an unusual choice, but well worth it. Cucamelons can be used in any cocktail that normally uses cucumbers as it has a bright and bold citrus-cucumber flavour. It is a much welcomed addition to gin and tonic. The tiny watermelon-looking cucamelons also make for adorable garnishes! 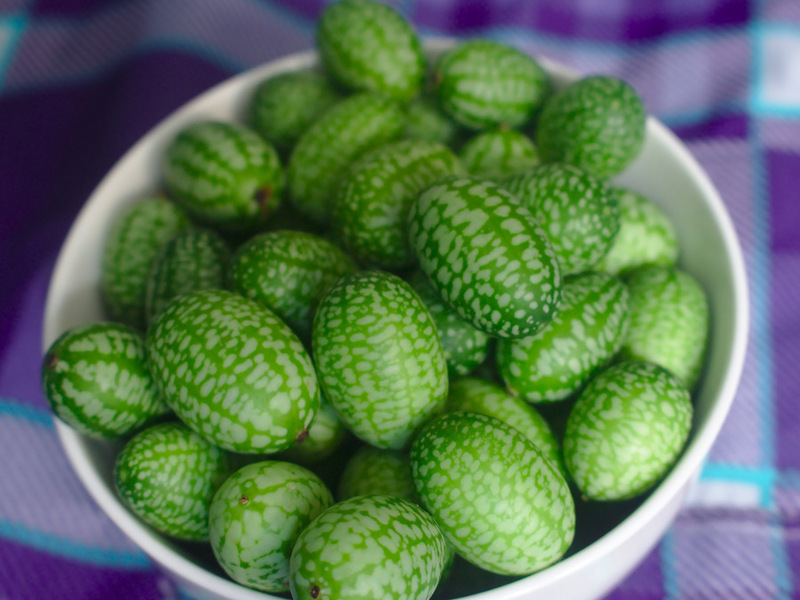 Cucamelons are easier to grow than cucumbers, don’t have many pests, and are heavy – and I mean HEAVY – producers. Other great cocktail garden plants include: cilantro, rosemary, jalapeno, sage, watermelon, lemon verbena.